Nespresso Le Cube + Aeroccino Combo. The Nespresso Le Cube and Aeroccino combination pack. 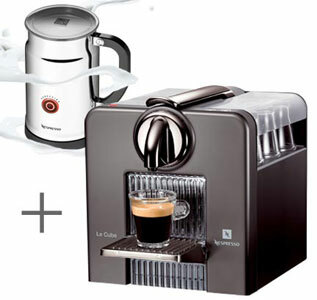 2 great Nespresso products and a great price. Includes 12 free Nespresso coffee capsules. Guaranteed lowest price: $249.00 (with $50 rebate) $199.00.